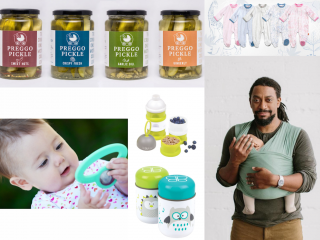 The Gugu Guru team was so excited to work with Amber & Andrew West on preparing for their baby’s arrival and we’re thrilled to share some of our top natural, on-the-go parenting registry picks with you here. At Gugu Guru, we recognize that every family is unique and that what works for one might not work for the other. We had to get to know Amber & Andrew before we pointed them to the products that are a best fit. 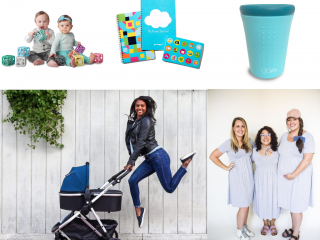 The first step we take when working with any expectant parents is to have them take our free, fun lifestyle quiz. One of the most obvious things we took note of when reviewing Amber’s profile was definitely the very high importance she places on natural and organic products. Another key detail is that Andrew and Amber are on-the-go quite often and are frequent travelers. Dr. Brown’s Options™ Complete Baby Bottle Gift Set – if you keep up with Gugu Guru, you know that this set is our Gugu Pick for best bottle. The BPA-free Options Bottles are the baby market’s first convertible bottle that can be used with or without the vent system. Options bottles also fit most breast pumps, making them the best baby bottles for pumping moms as well. Stokke Tripp Trapp High Chair – from one of our all-time favorite eco-friendly brands, Stokke’s Tripp Trapp high chair is made of solid European beech wood. Its intelligent design grows with your child, providing a comfortable, ergonomic seat at any age. It has been made to fit right up to your dining table to bring your baby into the heart of your family, allowing your little boy or girl to eat, learn, play and develop alongside you. 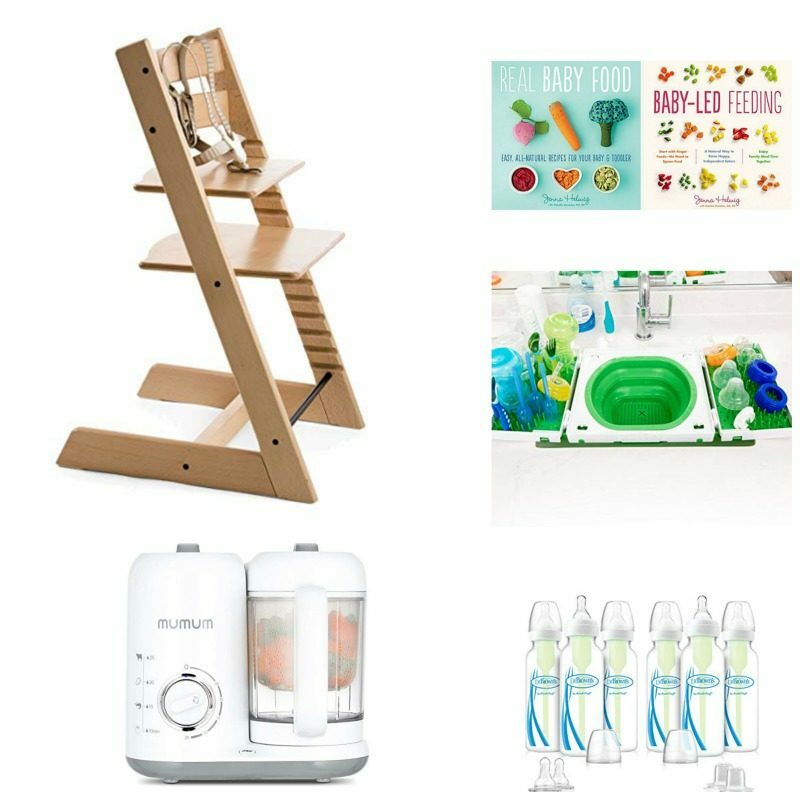 MumMum 4-in-1 Baby Food Maker – We love this food maker that allows you to steam, heat, cook, blend & defrost all from one small appliance. The easily accessible water tank allows you to fill and clean water reservoir without any mess. This also limits the possibility of any bacteria or rust buildups in the tank. Real Baby Food and Baby-Led Feeding books by Jenna Helwig – Both books are absolute musts for parents wanting to prepare natural, nutritious foods and establish healthy mealtime routines for their children. Sinkboss – We are pretty obsessed with this brand new product that creates a physical barrier between kitchenware and the potentially contaminated sink basin. If you’re on the go as often as Amber & Andrew, you’ll appreciate that it’s portable, lightweight & compact. WaterWipes – For minimalist parents, we are crazy for these diaper wipes that contain 99.9% purified water and a drop of fruit extract. These fragrance and alcohol free wipes are ideal for sensitive skin and have been awarded National Eczema Association of America Seal of Acceptance. 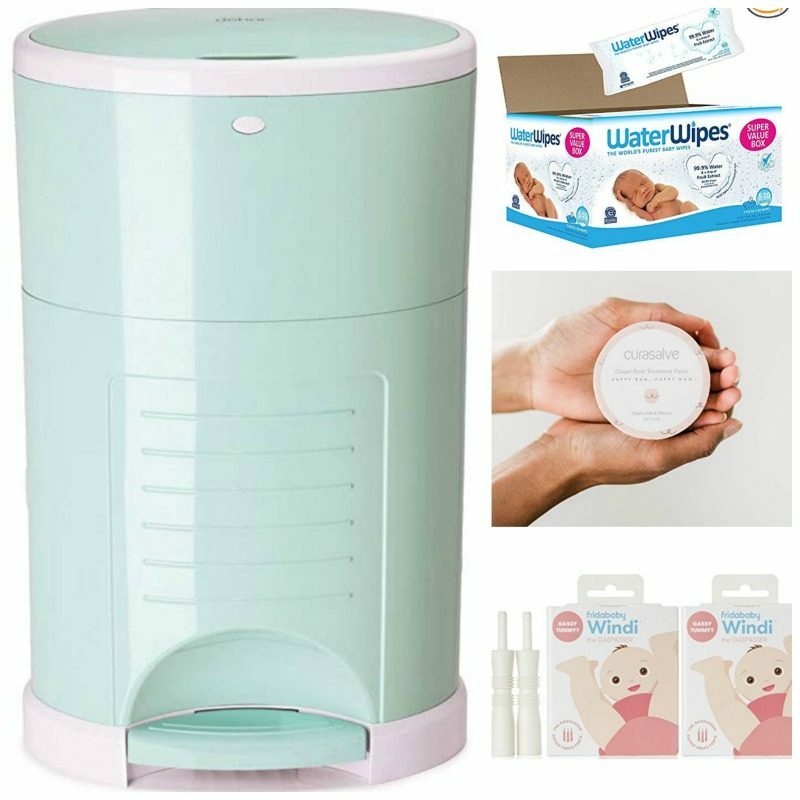 Diaper Dékor – The Diaper Dékor refill system creates less waste plus eco-minded parents will appreciate that the pail converts to a trash can once baby ages out of diapers. 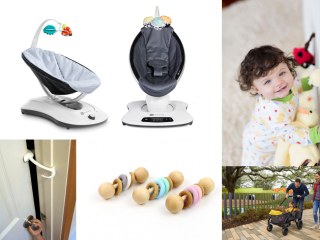 Fridababy Windi – This gas passer from Fridababy in the Baby Basics Kit is a definite must-have for baby. No medications or ingestibles are needed, making the Windi a great alternative to Anti Colic drops. Curasalve – Invented by a mom who wanted an organic, non-toxic option for diaper cream with high-quality ingredients. Native Wilds Nursing Cover – the Nest has a patented pocket for built-in storage and keeping track of your essentials on-the-go. It’s naturally sun protective, hypoallergenic, and temperature regulating. It’s also ethically made and locally sourced in the USA. 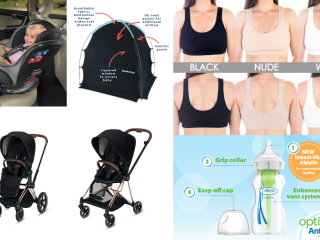 Baby K’tan Organic Wrap Carrier – The Baby K’tan requires no wrapping and no hardware and is as comfortable as your favorite t-shirt. 100% certified organic cotton, the double Sling design provides extra security for baby and privacy while nursing, with quick adjustability for maximum comfort. Love to Dream Swaddle UP Organic – The Original Swaddle UP patented design allows for self-soothing, unlike traditional swaddles which hold baby’s arms down and frustrate them. The organic version of the swaddle comes in 95% GOTS Organic Cotton. Colgate zenBaby Hybrid 2-in-1 Crib Mattress – With its unique KulKote water-based coating design, the zenBaby Collection from Colgate offers the highest level of cooling comfort and temperature optimization to help baby sleep best. It is GREENGUARD® Gold and CertiPUR-US® safety and performance standards certified. Crane Drop Humidifier – the Ultrasonic Cool Mist effectively humidifies up to 500 square feet for easier breathing and a good night’s sleep. For baby, easier breathing means easier feeding. Evoz Monitor – We love this monitor for working parents because you can watch your child virtually from anywhere. 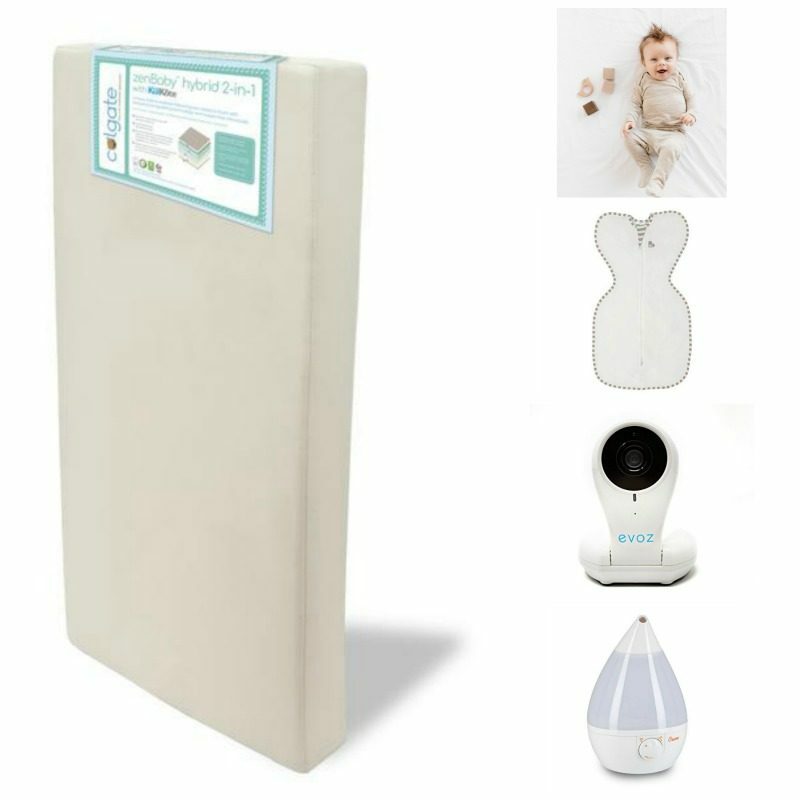 The Evoz Vision baby monitor with camera software is completely secure. And can be viewed by more than one person at a time! Layette Set from Solly Baby – The new Solly Layette is made from the same 100% Lenzing Modal as their amazing wraps with a sprinkle of “magical sleepy dust, since we know you’re dreaming of a little more zzzs.” The pajamas have an aasy wide neck, lightweight and silky-soft and no hassle pull-on styling. The Birth Deck – a simple, powerful childbirth education tool. This giant deck of cards will teach you 50 easy ways to support a woman in labor through massage, hypnosis, affirmations, visualizations, labor positions and other simple tips. 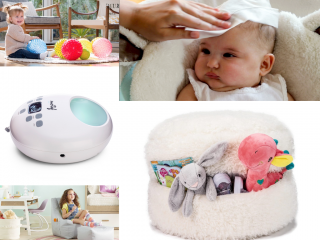 Solly Baby Bringing Home Baby Bundle – This specially curated bundle contains a Solly wrap, a swaddle, layette and a self-care guide. Yumi – a comprehensive science-based early childhood meal delivery program that provides over 60 varieties of chef-curated and nutritionally dense baby meals made with fresh, organic ingredients and high-quality superfoods. 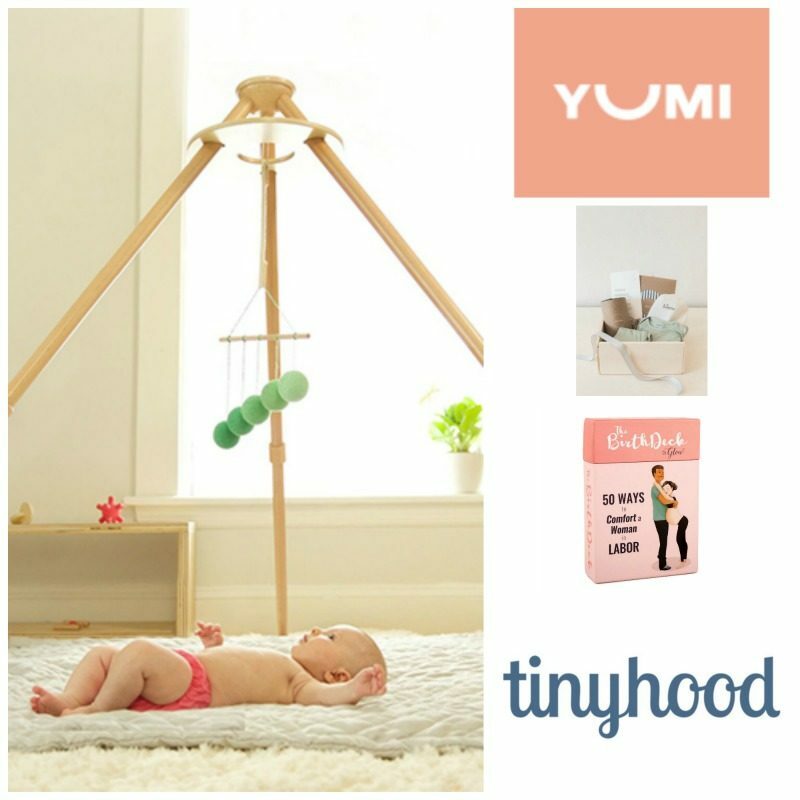 Tinyhood Gift Card – Tinyhood offers access to parenting advice the way it should be: personalized, on-demand, expert. 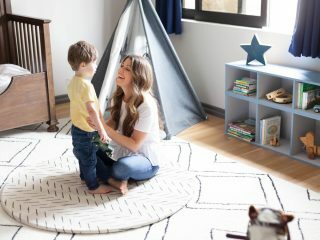 Monti Kids – Monti Kids offers quarterly deliveries of toys and online curriculum based on proven Montessori methods. 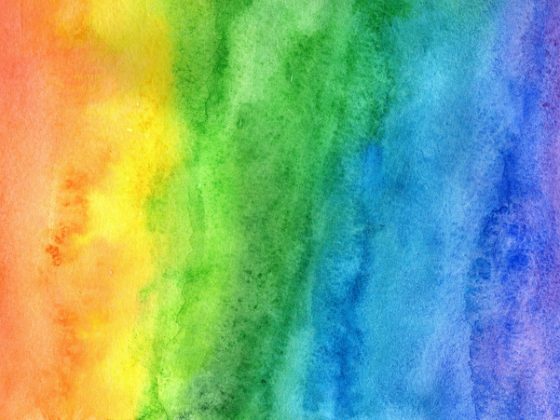 -Your budget is on the higher side of the spectrum. -Organic, natural products are of high importance to you. -You’re on the go a lot and need gear and accessories that will make trips and errands easier with babe. 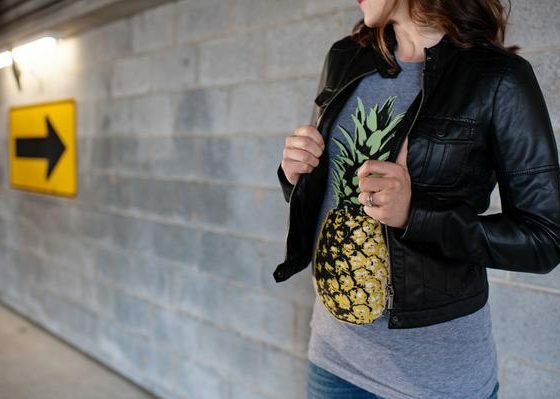 -You are willing to spend a little more for high-quality products that will last through the long haul, including future children if you’re considering having more than one child. 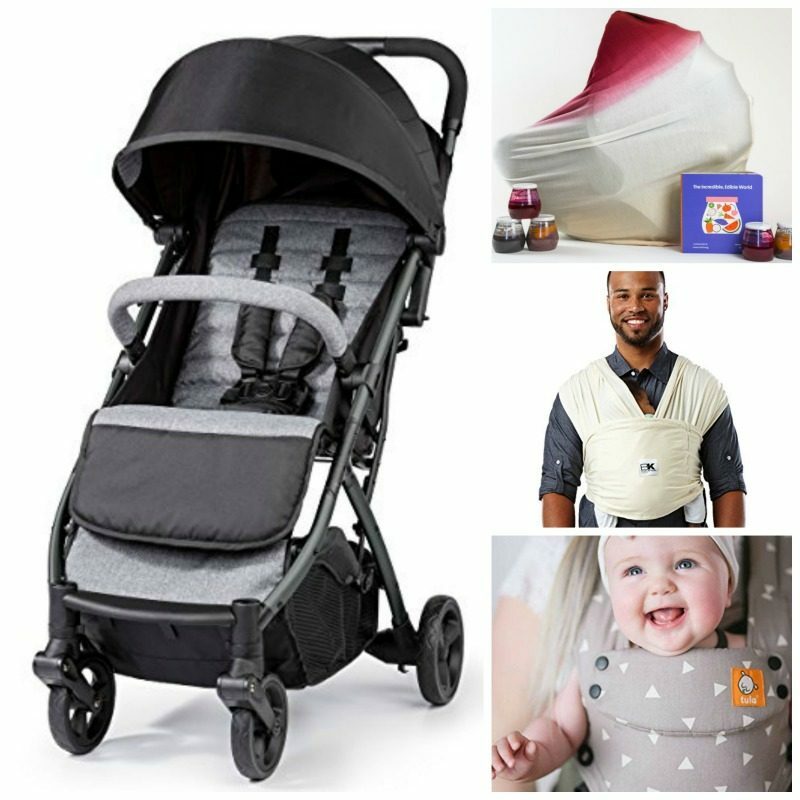 -You like neutral colors for yourself, your baby and also your home décor. 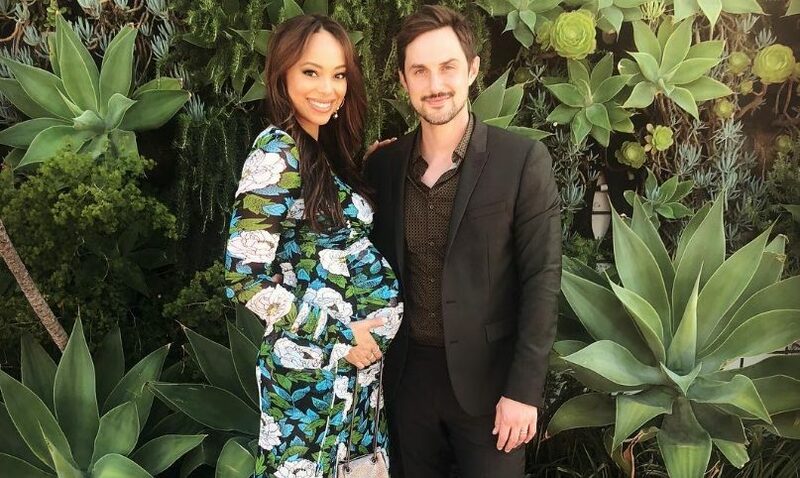 Here is a link to Amber & Andrew’s full baby registry. Comment below to let us know what you think!